Ideal for boys and girls aged 7-17 in Banyule, Nillumbik, Whittlesea and Manningham councils in Victoria! 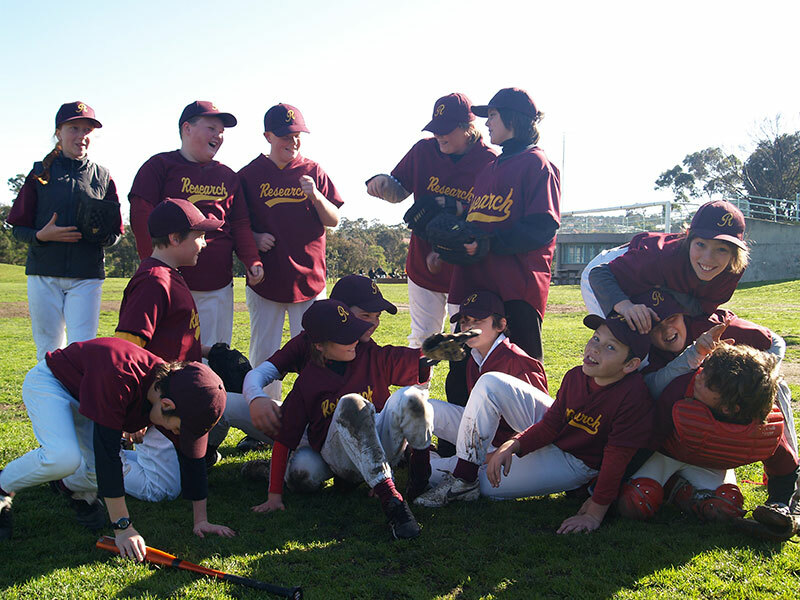 The Roadrunner Junior baseball program offers the opportunity for boys and girls and their families to be part of the Research Lower Plenty Baseball Club, which has been around for 64 years. Qualified adult baseball coaches who are current and experienced baseball players and/or coaches. Place the emphasis on team, skill and individual development. They are there to build the confidence and life skills of your children using baseball as its framework. Are mandated to have Working with Children Accreditation. No exceptions. Will take place on either Wednesdays between 5.30pm-7:00pm. Our first training will take place Wednesday March 13th, 2019. Our first game of the season will be Saturday, April 13th 2019. Played on Saturday mornings. Start times are the same each week and vary depending on the age group. Junior baseball games typically take 1.5-2 hours and usually end by 10.30am. 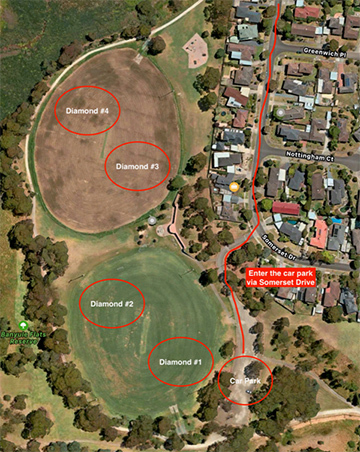 U13’s – Banyule Flats, 38 Somerset Drive, Viewbank (See map below). U15’s – Home and Away series against other clubs in the Northern Suburbs. Any family, boys or girls who are looking to be part of a great sport and a great family club. It does not matter where you live – you can join our club. We typically have players from many suburbs, including Montmorency, Lower Plenty, Research, Eltham, Briar Hill, Greensborough, Rosanna, Macleod, Viewbank, Hursbridge, Epping, South Morang, Doncaster and Mill Park. Our coach for the Under 15’s even comes out from Bonbeach!! When you log into the registration system, the BA and BV fees will automatically be applied and you will have to choose which club fees apply to you. Would you like to be added to our database to find out more about our Summer Tball Smash Program?